Sailing my wing for 5 years now during R&D . Sail with proper aerodynamics is really ultimate. It's a bit heavier than your race sail, but much easier to drive due hi stability and fixed center of lift. Crash resistant, fast and very forgiving. That's odd ... you don't LOOK like you weigh 500 pounds. you ship from NJ ?? max sail is 5.8 meters ? at that price does it come with mast ? if not - flex, cc or hard top ?? if i visit Long Island or CT - can go to NJ and try one ?? Anyone ever seen one, or tried one? In my limited windsurfing experience I have never seen one at all. Is the principal similar to the wings that are used on the AC boats. The Vestas speed sailing craft also used a wing. Seems like it would be less stable to me. Just curious. America Cup sails have 309 million bucks of design and can't be sailed in 28 knots wind. LOL. I admire his ingenuity but if it was free at a swap meet I wouldn't take it. I do ok with the sails I have. To prove I'm not a hater here's the link to his video. Yes, I'd love to sail a 5.8 in 15 knots AND jibe it in 30. 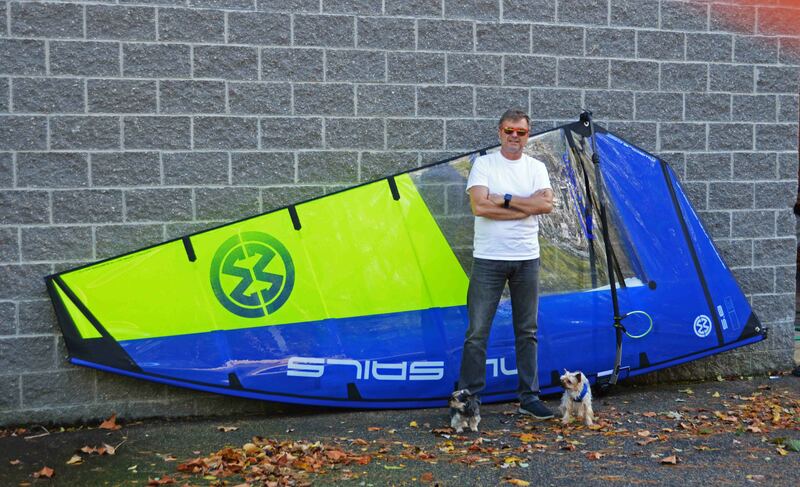 Inflatable cambers are a good idea imho, but the rest of the sail is meh. Maybe as a 9.5 on a raceboard with that tight leach. Not a $1200 idea either. Rigs in a snap! If you're not in a rush. Can't imagine trying to rig that on a sandy beach with some wind. The sail will last only as long as those zippers. But the colors are nice and shiny.